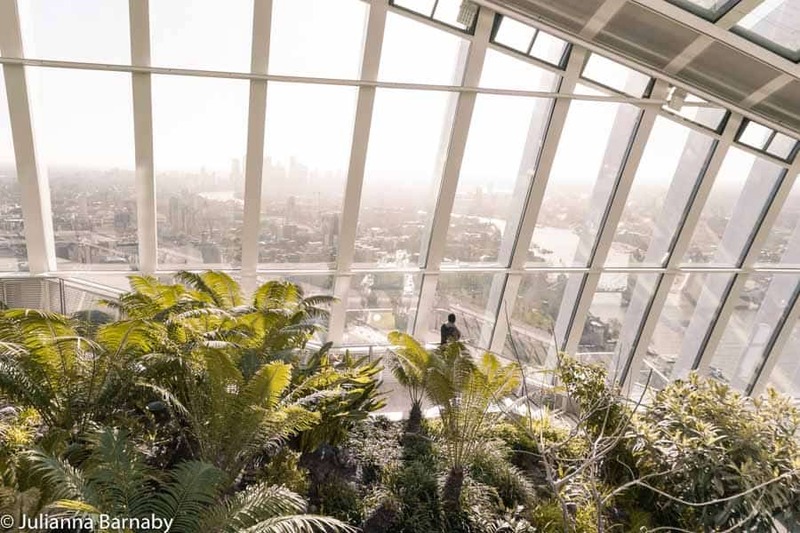 Perched at the top of the Walkie Talkie building, London’s Sky Garden boasts some of the best views in the city. 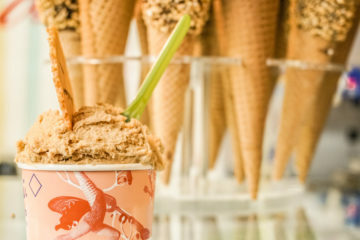 Here’s why you need to go (and insider tips for beating the crowds while you’re at it). London is a very cool city, but sometimes it can feel like it’s out to bleed you dry and strip you of all your hard-earned money. That’s why when you find something brilliant that also happens to be free, you have to pay a lot of attention. Guess what? The Sky Garden is both brilliant and free. The only catch? Pretty much everybody knows it – so it can be tough to get into. Not to worry though. 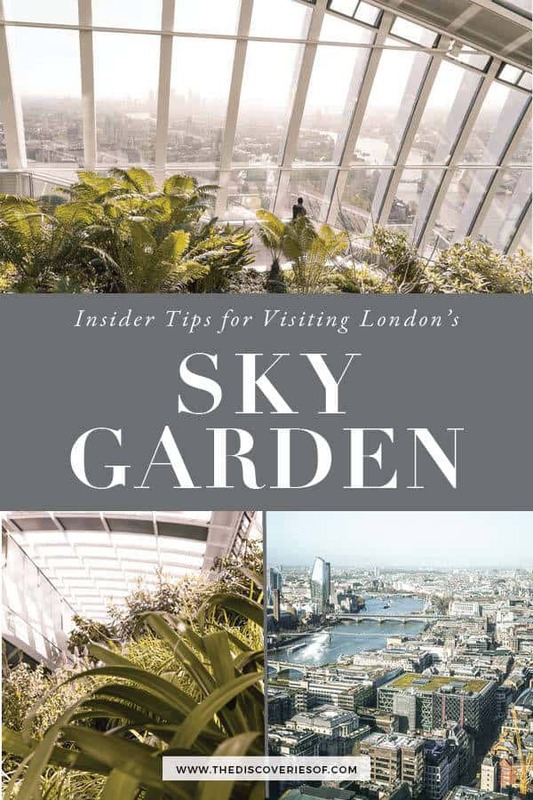 I’m not only going to tell you why you should visit the Sky Garden but also exactly how to do it without the crowds. Win, win right? First Up, Why Should I Visit the Sky Garden? 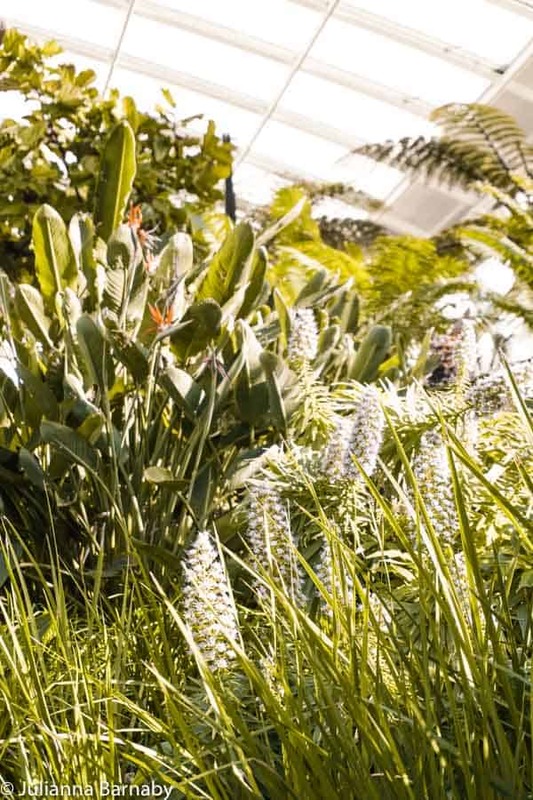 What if I told you that there was a sub-tropical garden hidden away between the 34th to 37th floor of 20 Fenchurch Street (affectionately nicknamed the Walkie Talkie building thanks to its unusual appearance). What if I also told you that the Walkie Talkie just so happens to command some of the best views in London. It would sound like somewhere you’d want to go right? Right. 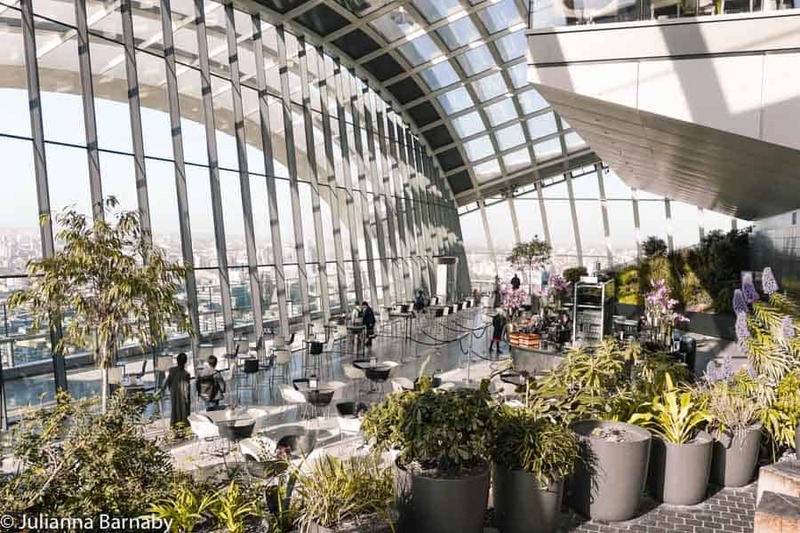 Now that we’ve worked out that popping in to the Sky Garden should be at the top of your London bucket list, the next question is how do you go about getting in. In all honesty, it can be a bit of a mind melt going through their website and trying to work out how you can visit without booking years in advance. Which is why I’ve put together a handy go-to guide walking you through all of your options below. You’re welcome. The best-known is to book tickets (which are free) on their website. Ticketed entry operates between 10am and 6pm on weekdays and 11am and 9pm at weekends. Once booked, tickets are valid for a particular date and time – you’re allowed to stay one hour from your entry time. Just make sure that you have printed your ticket or have the PDF on your phone as you’ll need it to get through the turnstiles at the bottom floor entrance. It’s fast, it’s easy – the only snag is that you’re unlikely to be able to snag a ticket for less than two weeks in advance, so have to be pretty organised, particularly if you’re only in town for a short period of time. Bearing in mind that here in London, we can’t even accurately forecast the weather for two to three days, booking a ticket to a spot with some of the best views in London weeks and weeks in advance feels like playing with fire. After all, who wants to schlepp up to the top of the building, only to find that the city is enveloped in a cloud of smog and looks more depressing than a train full of commuters on a Monday morning? Not me. Not you either. You’re better than that. That’s why you’re going to love the fact that there’s a secret trick you can use to get into Sky Garden on the day WITHOUT ANY CROWDS. Yes, you heard me right. Sans crowds. Keep reading. So now we’ve established that the Sky Garden booking system is a bit of a pain, the next logical question is how to visit Sky Garden without booking? The first is to try and nab one of the walk-in spots available between 10am and 11.30am and 2pm and 4.30pm each day. I’ll be honest, although I’ve had some luck getting into the garden this way, there have been a few times where the walk-in slots have been completely full. It is a gamble. The other way is so much better IMHO. Did you know that Sky Garden actually opens at 7am? No…. nor do most other people. 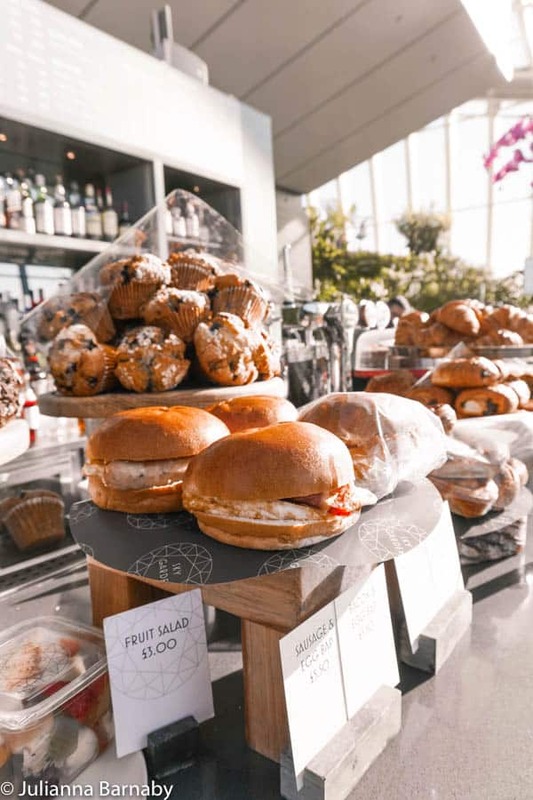 Between 7am and 10am weekdays and 8am and 11am at weekends, you can access the Sky Garden on a walk in basis as long as you’re going up for breakfast. Considering that they have a cafe at the Sky Pod Bar, where you can buy a coffee for the same price you would in a Costa, I’d say this is a pretty nifty way of getting up to the Sky Garden without the booking or the crowds. It’s not entirely free, but there’s no minimum spend at the Sky Pod Bar and prices are relatively reasonable. Not convinced that going at breakfast will actually work? Well, I went for breakfast in the Sky Garden at 8am and it was empty – there were around five people wandering around the garden, though it started to get a little busier around 9.30am. Turns out that the early bird really does catch the worm (and the photographs as it happens). This is my secret trick. Just don’t tell loads of other people – it’s our rather brilliant little Sky Garden hack. Sky Garden’s bars: Sky Pod Bar and City Garden Bar are also open for walk-ins from 6.15pm onwards on weekdays or 9.15pm to 12.45am on Saturdays and 9.15pm to 10.30pm on Sundays if you’d rather pop in for an evening drink. It is much busier for walk ins during the evening – but it is a pretty good view for your sundowner (and is significantly cheaper than the bars in The Shard so….). 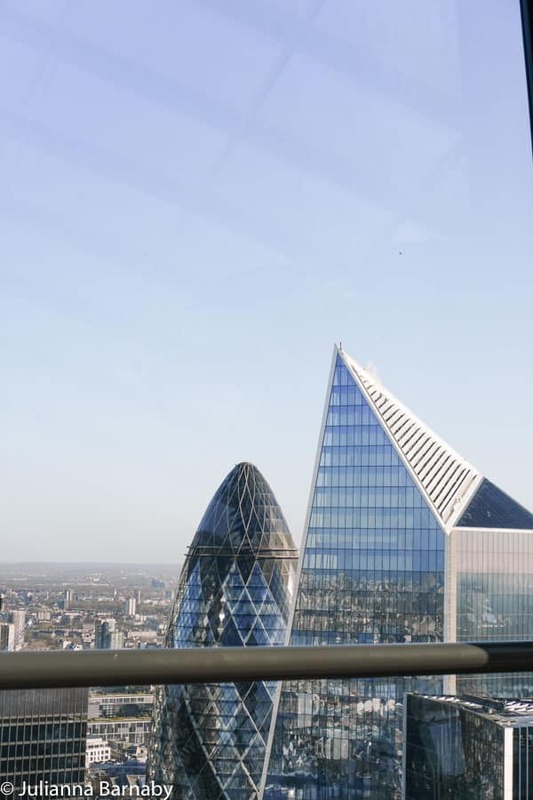 Aside from the Sky Pod Bar and the City Garden Bar, Sky Garden also has two restaurants, Fenchurch and Brasserie where you can book for a meal. They’re not cheap, and weirdly, the views aren’t as good as those from Sky Pod Bar below, but the food is brilliant and it’s a special location for a meal out. There are also early morning yoga classes most mornings at 6.30am between Tuesday to Sunday (though you need to check the schedule as it changes) – prices start from £10 for the yoga class or £22.50 for yoga and breakfast. 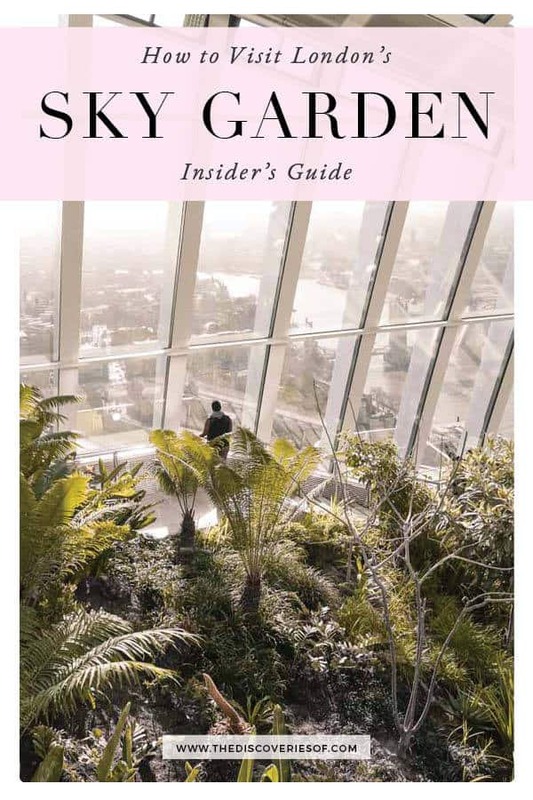 Located between floors 34 to 37 of the Walkie Talkie, Sky Garden is London’s highest public garden. Handily, the Walkie Talkie is higher than most of the buildings nearby, so you get some pretty cool views of London spread out before you. 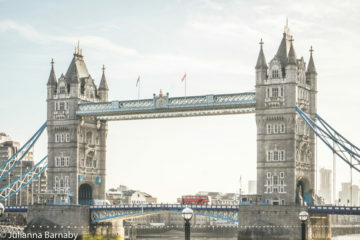 You can spot many of the city’s biggest landmarks, including The Shard, St Paul’s Cathedral, Tower Bridge, The London Eye, The BT Tower and much more. Much as the views are appealing, the gardens are absolutely gorgeous too. 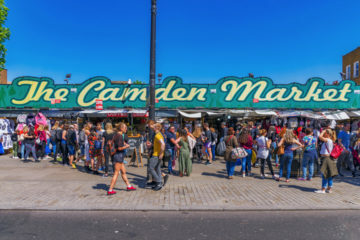 Filled primarily with Mediterranean and South African species, it’s pretty much a world away from anything else you’ll find in London. The garden is spread out over three terraces, each representing a different kind of habitat. 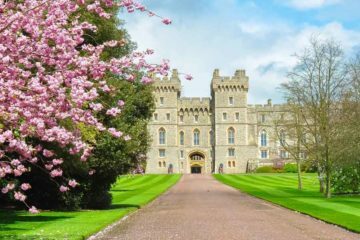 Mounds of lush greenery are studded with bursts of colour from flowers such as Bird of Paradise and Red Hot Poker – with views of the city and the Thames peeking out from behind. Sitting 37 floors above the chaos that is London, Sky Garden’s signature restaurant Fenchuch serves contemporary cuisine that’s bursting with fresh flavours and one hell of an eyeful of view to go with. You can dine a la carte throughout the day but their set lunch menu is rather good value. If you pop in Sunday to Wednesday, you can indulge in their delicious menu for £34.50 or £39.50 for two and three courses respectively. Alternatively, if you’re looking to push the boat out, the restaurant’s five and eight course tasting menus are a real treat. Darwin Brasserie is located on the 36th floor of the building. It serves an all day menu (including a rather delicious breakfast) but also happens to be one of the best brunch spots in the city. The three-course brunch features stellar dishes such as Darwin Duck Benedict (a delicious combination of confit duck and caramelised onion hash) and Clementine and Dill Cured Salmon(which comes atop homemade soda bread and finished with a healthy dollop of caviar crème fraîche and slow roast tomatoes) and costs £39.50 per person (drinks are additional and, for the record, aren’t bottomless, even though they used to be). Sky Pod is the most relaxed of the food and beverage options in the Sky Garden. Opening at 7am and closing late, it offers a small range of all day dining options, as well as a rather fabulous array of cocktails in the evenings. Located a floor up from the Sky Pod Bar, the City Garden bar is an alternative spot for a cheeky evening cocktail in the Sky Garden. Where is the Sky Garden? 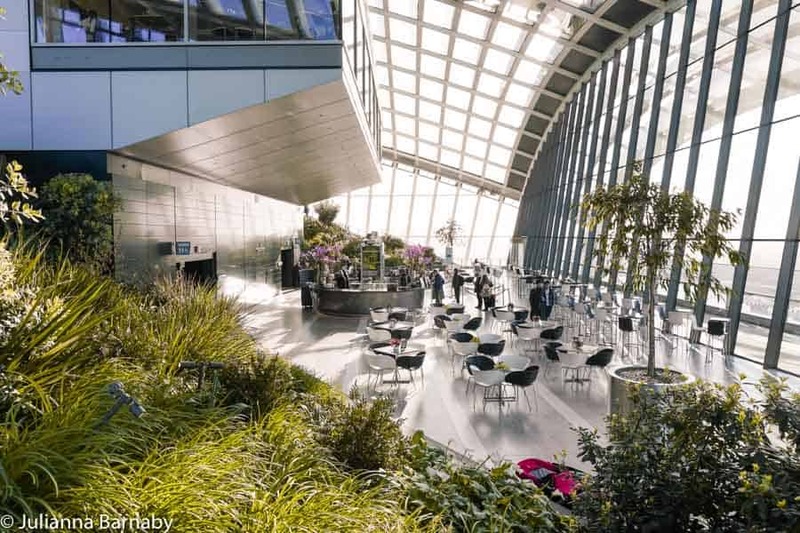 The Sky Garden is located on floors 34 to 37 of 20 Fenchurch Street – otherwise known as the Walkie Talkie. 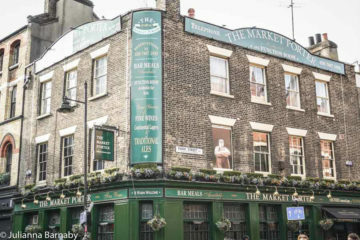 The nearest tube station is Monument (Northern Line, Bank branch), but Tower Hill, Tower Gate, Aldgate, Mansion House and Bank Station are less than a ten minute walk away. 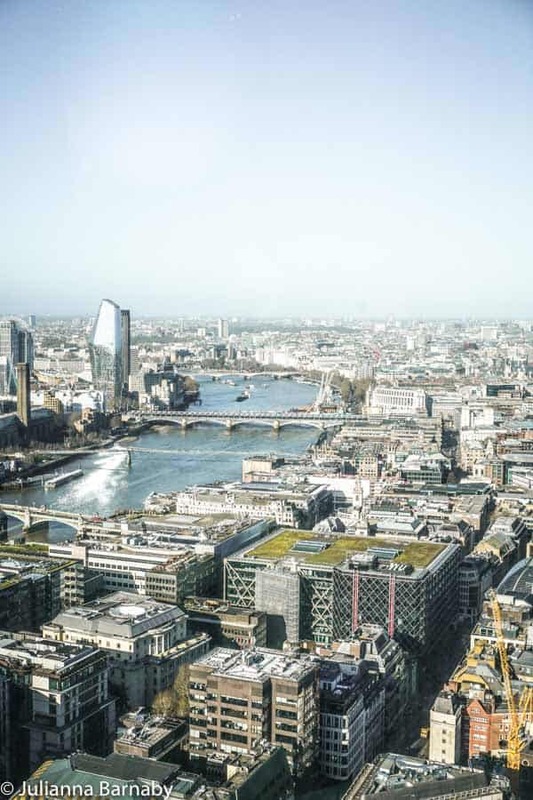 You can also hop on a train to Fenchurch Street, London Bridge or Cannon Street, all of which are less than 15 minutes walk away from 20 Fenchurch Street. Click here for a map with Sky Garden’s location.